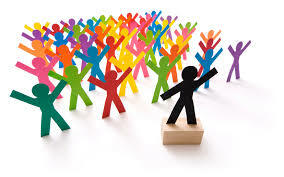 Types of Leadership Styles – Which one Works Best? You have a manager and he has his style, then you have another manager with a completely different style. Confusing sometimes. 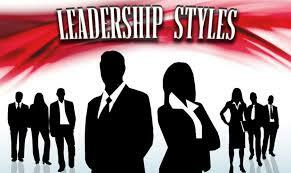 In this article I am going to help you distinguishing between different types of leadership styles. Nowadays there are three main leadership styles: charismatic/transforming, democratic and autocratic, with each having sub-divisions. I am giving a short description of the characteristics of each style, discuss the advantages and disadvantages and indicate which one works best. At the end I will give you my number one recommendation in case you want to become your own boss. Charisma or the behaviour of leaders, where they have a warm atmosphere, convincing, take position and appeal to employees on an emotional level. Inspiring motivation including through the publication of an inspiring vision, including values and team values. Intellectual stimulation, challenging beliefs and procedures. Individual consideration, listening to and meeting needs, coaching and mentoring. The importance of meaningful work and the focus on control of the employee i.e. how and when the work is done. According to a recent study these styles correlate most with aspects such as employee satisfaction, motivation of the employees and assessed effectiveness of the leader. I personally could not agree more. You would be lucky to encounter one of these two following styles. These styles are sometimes described as “management by exception – active”: the leader watches from a distance; he/she monitors performance and only takes (corrective) action if necessary. This is only possible if standards and rules have been set before. In terms of satisfaction with managerial and employee satisfaction in general, one of these styles always scores well, especially the participatory style. Often this style gets the second best score in this area after the coaching style. This is the most appreciated of the democratic styles. For example, the manager who uses this style has an employee’s say in decisions or builds decisions together. Empowerment is often also mentioned as a characteristic of this style: this means giving self-control and autonomy to the employees. Some see it as an encouraging, sometimes compelling employees to take responsibility. This sense of responsibility must grow thanks to the application of this leadership style. 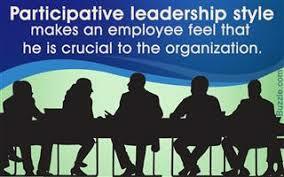 Overall, it can be said that this concerns nonleadership or the avoidance of his/her responsibilities as a manager. In scientific research these styles are mostly referred to as “passive leadership”, “laissez-faire” or “management by exception – passive”. A manager will only intervene at the moment that the problems are already serious. This style is strongly characterised by personal and professional absence and indecision. Employees will soon think that the manager has no ambition and a lack of interest. This style leads to demotivation and employees who feel lost. The person who uses this style intervenes too late in the event of conflicts in the group or operational problems and is often suspicious of the motives of employees. 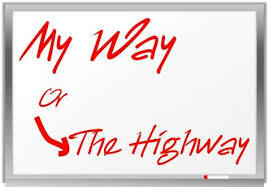 The leader who uses this style hesitates and is unclear about what he/she wants and the direction to follow. Managers who use these styles mainly hope that they can enforce obedience (“compliance”) from their employees. If this happens occasionally, this is part of the “normal” behavioural repertoire, but if this happens frequently, this is problematic. Various studies into stress show that these styles result in a huge social cost, both for the companies themselves due to much workforce movements and high absenteeism, but also for society as a whole, due to the costs of health care for work-related sickness absence. Those who use this style communicate in a hard way, without showing much understanding for the other party. There are a lot of unilateral rules/requirements imposed and demanded. 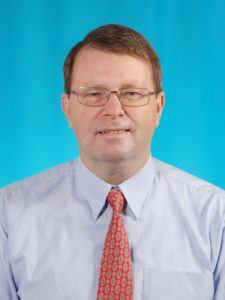 Recently research has been conducted into the effects of these leadership styles.It can be seen that reference is made to “destructive leadership” or “toxic leadership”, because these styles can result in dictatorial behaviour, fraud, narcissism, exploitation, etc. I have described narcissistic bosses in this article. Unfortunately, there are still many executives who hold the popular but scientifically incorrect belief that this style produces good results, especially in crisis situations. I would say that if you have these style long enough, you will end up in a crisis situation anyway. I would call this management style decisively: management by fear. Not far off of modern slavery, ok, but without the whips. I personally prefer the coaching, inspiring or participative styles of leadership and I wish anybody would have this kind of management. Unfortunately, I see the rest as, maybe not bad for the company, but certainly not very good or even bad for the employee. I would not flourish under passive, distrustful and withdrawn leadership. If you happen to be under autocratic style leadership, you better take immediate action in order to avoid complete demotivation, stress and even health problems. Modern slavery is present, but should not be tolerated at all. It can destroy people’s lifes. If you are interested in becoming your own boss, away from the corporate jungle, then there is a way out. Join the best internet business support group in the world: Wealthy Affiliate (WA). Have a website in minutes, find your passions and have your product niche, scam free, reasonably priced and build your own business. See my full review of WA here. Which type of boss do you have or did you get rid of? Let us know by filling in the comment box. Hi Jerry! Thank you for your inspiration. When I drove my transport company, it was vitalfor me to have people who could act and think on their own. My way of doing that was to give my crew co-determination. I put their day together. With some of the staff. Well, I had the last word. But mostly allowed them to find out how the task was to be solved. I firmly believe that giving people insights into everyday life. They also grow with the job. It is my foundation in leadership. May I ask you which form you think is the best, to get the most out of your crew? Thanks Steen, you can be my boss anytime! 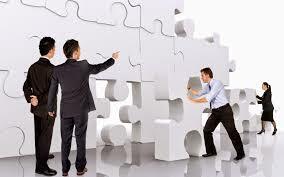 With your management style, people will have a chance to improve on themselves. They will feel that when the company grows, they will also. Better motivation you cannot have. 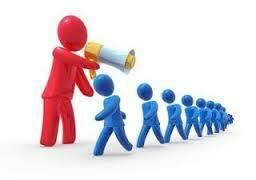 I have worked best under coaching or participative leadership. I do not need somebody to look over my shoulder all the time. As a manager myself, I tried to challenge and involve my team as much as possible, did not tolerate a sweet mouth, complimented and corrected where necessary, without giving preference to anybody. As soon as they understand this, you will get the best out of them.